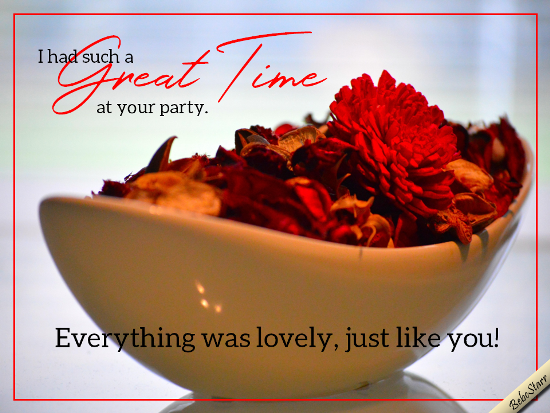 Be sure to thank the hostess and let her know how lovely the party was. You Made Me Feel Really Special! Say thanks with this cute smiley. Send this simple thank you card to thank someone for almost any occasion!